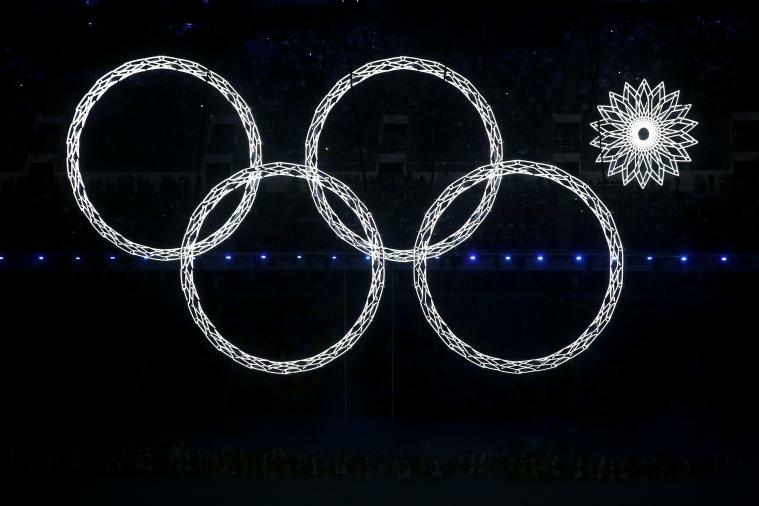 Has the lead up to the Sochi Winter Olympics left a bad taste in your mouth? The talk of withholding intelligence about security threats, the “there’s no gays in Sochi, but you’re welcome” speech and the culling of hundreds of stray dogs – it’s all been a bit off-putting really, hasn’t it? Never fear! I have the antidote – a cocktail that will sort that bitter taste right out. 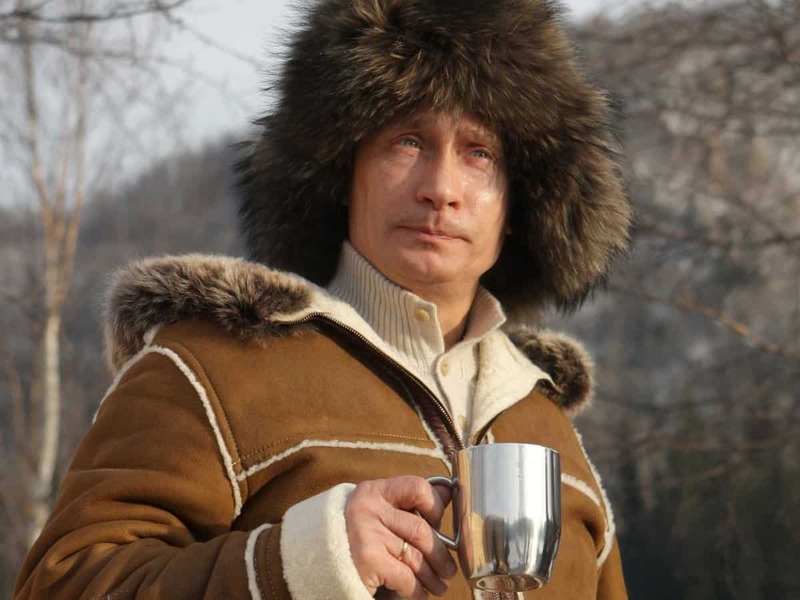 We’ve heard unconfirmed reports that President Putin is sipping a Sochi Sweetner. In a cocktail shaker, combine vodka, schnapps and ice. Shake/shudder/twitch until cold and combined. 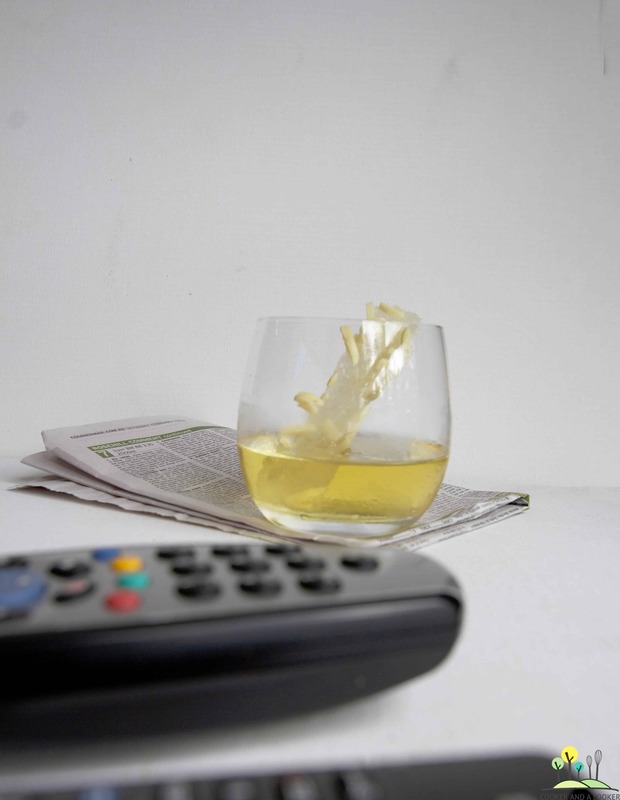 Serve in a squat glass with an almond praline swizzle stick. Combine sugar and water in a saucepan over low heat. Cook, stirring, for 5 minutes or until sugar has dissolved. Increase heat and bring the syrup to the boil. Boil, without stirring, for 5 to 7 minutes or until syrup turns golden. Line a baking tray with baking paper. Remove from heat. Add almonds. Pour onto prepared tray. Allow to cool. Cut praline into long swizzle stick-shaped pieces. Bonus: if you drink one of these and squint, it looks like there’s still five olympic rings! Of course, nothing will be as sweet as watching our Aussie athletes compete on the international stage. Many of them train in conditions that make the Jamaican Bobsled Team look spoilt. If I were there, I’d make them all a Sochi Sweetner – if for no other reason, to make them feel more comfortable going to the toot. 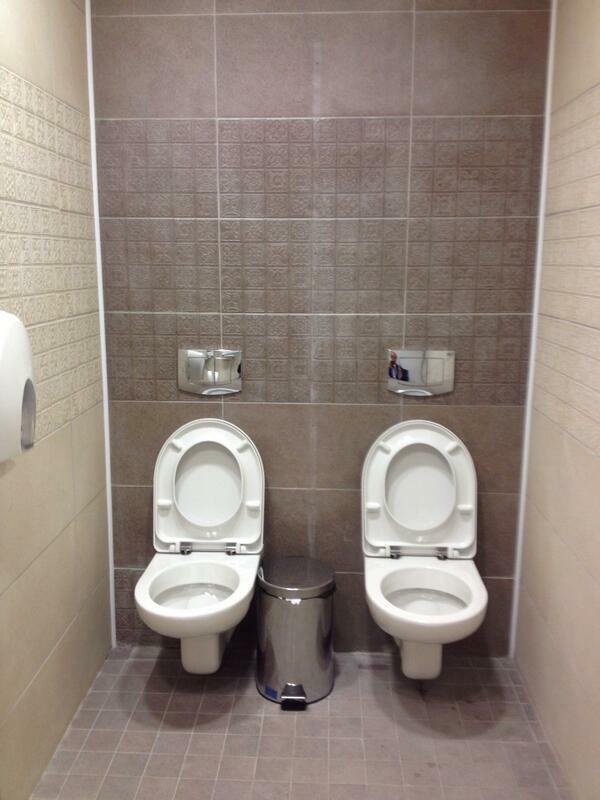 Sochi Village Toilets. Looks like they forgot to Putin the divider. will you be watching the winter games? Sorry Beth. I don’t know what got into me (actually I know exactly what got into me). Don’t drink and write!